Kevin Can Wait has officially been cancelled for (::looks at watch::) a little over a week now, which means it’s time to reboot it. By TV standards, any time is the right time for a reboot. Thirty years? Reboot. Twelve years? Reboot. The body is still thrashing? Reboot. Here’s what I propose. 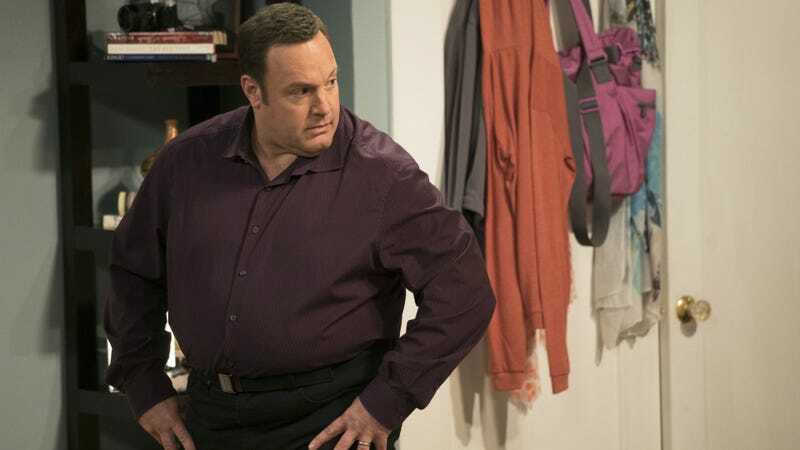 Revive Kevin Can Wait, bring the wife Donna back from the dead (just say she was saved through the miracle of a secret cryogenic experiment) and make Kevin Can Wait fans happy again—and also me happy, so I can continue doing posts about Kevin Can Wait. I mean, it’s time, don’t you think? I personally miss it, theoretically. It would only be right to reboot the show, especially if we’re thinking about reviving Parks & Recreation, a series I loved that has only been off the air for three years. (“I’ll speak for everybody and say we would all do it,” Poehler told Ellen Degeneres on Thursday’s show. “I think we would all do it someday. It would be amazing.”) Yes, “someday,” we will reboot everything! Let’s get crazy. I’m currently drawing up a Change.org petition calling for a reboot of Kevin Can Wait. Please join me in my mission.